Especially monolithic restorations require a natural and aesthetical virtual designing. 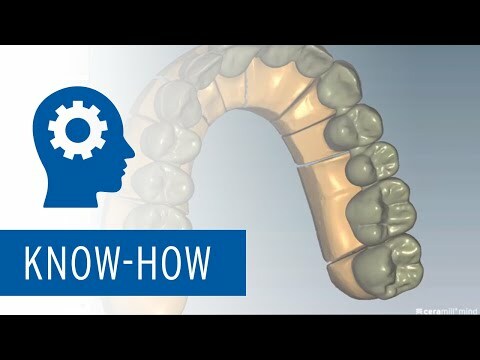 Therefore, we can use for example the Ceramill Mindforms by Knut Miller or we can also enrich our library with scans of natural teeth and we’re creating a new individual library at the same time. This allows us to mimic natural shape teeth in a very efficient workflow. For this case, we chose a tooth from the natural teeth library and we made minimal shape corrections and defined the surface structure. It’s important that in each step we can improve or refine previous steps and produce a perfect result. The new Zolid FX Multilayer, available in all 16 VITA Shades, enables us to achieve all basic colors with a fluent shade und translucent gradient easily and fast. 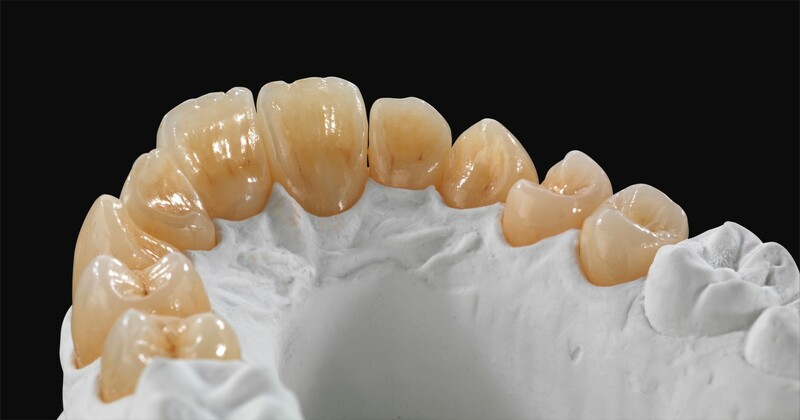 After sintering, we set specific highlights with stain & glaze, which can be applied individually according to the restoration, in order to achieve the best natural aesthetics. We put a gentle violet shade to imitate absorption of light in that particular part of the tooth. At the incisal area, we used light blue color to imitate translucency. We placed also a little bit of blue color in the corner of the incisal edge, which imitates strong translucency. Mamelons can be achieved with white or various yellowish colors. At the cervical area, we applied slightly, light reddish or gingiva colour for a smooth transition to the gingiva. In the approximal region, we applied a darker brown pigmentation that is commonly found on a natural tooth. Palatinal, we used a variety of yellowish or orange colours. After the shading, the restoration was finalized with Glaze. It’s essential, that the glazing is applied to the previously fixed colors in the furnace - thus the colors underneath the glazing are protected and can’t be removed during polishing. The variety of the natural teeth library in combination with the perfect aesthetic material Zolid FX Multilayer offers us this huge advantage, to get in a short time a perfect result, very close to the nature.